Panos Vlahos Set to Appear on Days of Our Lives--Greek Intrigue to Come? Panos Vlahos Set to Appear on Days of Our Lives–Greek Intrigue to Come? 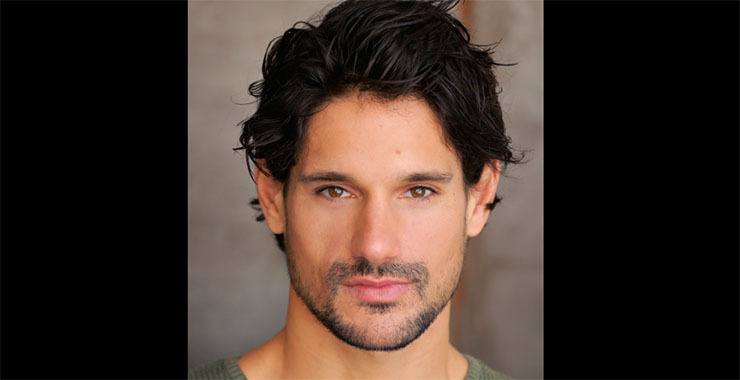 Actor Panos Vlahos, who will appear on Days of Our Lives, next month. An actor with a Greek moniker, Panos Vlahos, is scheduled to make an appearance on Days of Our Lives soon, and we’re intrigued! Vlahos may be a cross between the two, as he looks as dashing and handsome as you’d expect the demigod hero in a Greek myth to be. He’ll be appearing on Days on May 11th, reported soaps.com. While the role hasn’t been confirmed to be for any specific length of time just yet, our friends at Soap Opera Intel posit that it’s recurring. The whole Kiriakis clan seems to be involved in one seriously drama-filled situation or another. Paul (Freddie Smith) wants to take over the family business, Deimos (Vincent Irizarry) is looking to force Nicole (Arianne Zucker) to be with him, and Brady (Eric Martsolf) is joining Nicole in her Canadian life on the run. Add to that the fact that Paul Telfer, who played Xander, tied with Deimos for the most unhinged family member, and was sent off to Greece by Deimos months ago, is set to make a Salem return, many Kiriakis family members could be interacting with Vlahos’ character. We’ve also heard that Days is planning to shoot some scenes in an on-set version of Greece. Will Xander come back to Salem to assist Deimos in some nutty scheme? Will Vlahos’ character be involved somehow? Or is his on-screen persona totally unrelated to the Kiriakises? What do you think, dear Soap Cities readers? Let us know! Next Article Brooklyn Rae Silzer and Kimberly McCullough Headed Back to GH? A big star in Greek TV, extremely talented & good-looking! I’m sure he is going to impress on his first debut on US soaps! How interesting, P.R. Thank you for reading and weighing in. Not surprised he’s a big name in Greek TV. He’s gorgeous!